SARI PUL, Afghanistan, June 3 (Xinhua) — Some 24 kidnapped passengers had been released in Afghanistan’s northern province of Sari Pul, a local source said Friday. “After the provincial officials were aware of abduction of 24 passengers by the Taliban on Wednesday, efforts were put in place to secure the safe release of the abductees. Following the mediation of local elders, the 24 were freed late on Thursday,” Assadullah Danish, deputy to provincial council, told Xinhua. Earlier reports put the number of abductees at 17, who were kidnapped along a roadway between provincial capital Sari Pul city and Balkhab district in the province, 350 km northwest of Kabul, according to locals. On Tuesday, Taliban militants shot dead 10 civilians after militants seized three long-distance buses in northern Kunduz province. 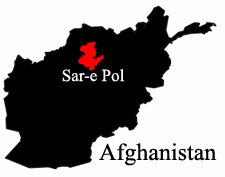 The militants have claimed that the killed were off-duty members of Afghan security forces. The militants still seize eight passengers in an unidentified location in Kunduz, 250 km north of Kabul. The UN Assistance Mission in Afghanistan (UNAMA) expressed its concerns over the spate of abductions and hostage-taking against passengers travelling in civilian vehicles. “Taking civilians hostage is indefensible,” Nicholas Haysom, Secretary-General’s special representative for Afghanistan and head of UNAMA was quoted in a UNAMA statement as saying. “I call for the immediate and unconditional release of all civilians detained and a halt to this horrible practice,” he said.